Amelia Molitor, the victim of a 2014 assault by Joe Mixon, filed a complaint against the Oklahoma running back in San Francisco’s U.S. District Court Friday. Mixon punched Molitor in the face at Pickleman’s Gourmet Cafe, a Norman, Okla., sandwich shop, in 2014, fracturing her jaw and cheek bone, and says she immediately faced retaliation from OU fans. In the suit, Molitor and her legal team, led by attorney Robert Bohn, accuse Mixon of negligence, willful and wanton misconduct, and intentional infliction of emotional distress. The lawsuit calls for Mixon to pay Molitor an unspecified amount for her hospital and legal fees as well as for the emotional distress she has suffered since being struck by the Oklahoma redshirt sophomore. MOLITOR prays for judgment against MIXON for economic losses according to proof, non-economic losses according to proof, for punitive damages, for costs of suit, for prejudgment interest, for post-judgment interest, for attorney’s fees and for such other and further relief as the court may deem just and proper. In a July interview with The Oklahoman, Molitor revealed the extent of the physical and emotional damage suffered as a result of the 2014 incident. Molitor required an eight-hour surgery and had her jaw wired shut in order to heal the fractures. She also told The Oklahoman she faced harassment from those on social media and in face-to-face situations at her former workplace, and no longer attends Sooners football games as a result. Despite that, Molitor remained a student and is set to graduate from Oklahoma in December. 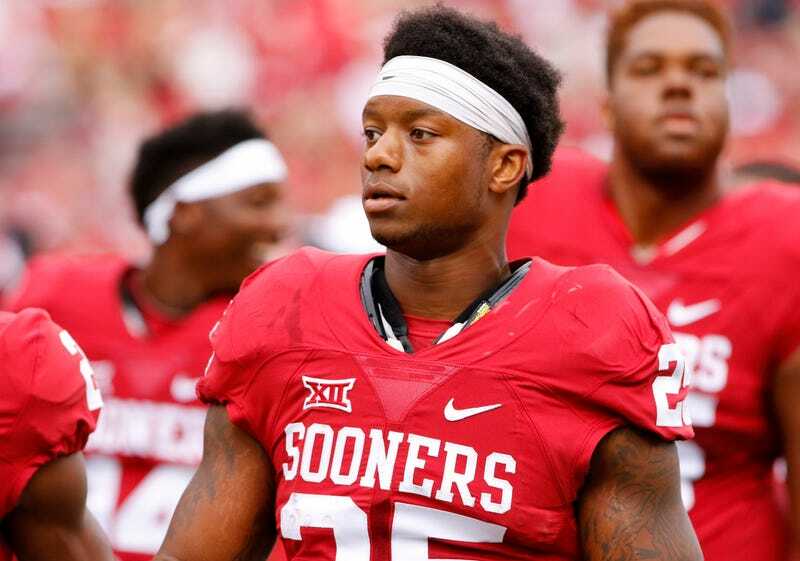 Mixon was suspended by the Sooners for the 2014 season and entered an Alford guilty plea in his misdemeanor assault case, resulting in probation, community service, and counseling. In his media appearances, Mixon has avoided answering any questions related to the incident while also making sure to withhold any semblance of remorse. He is currently listed without representation in the case.